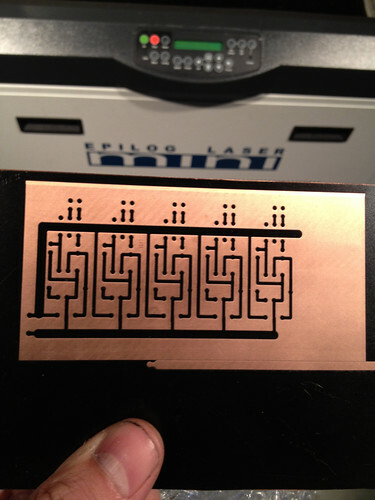 Using a laser cutter to make an etch mask for circuit board etching. Spray a copper clad board with black spray paint and etch off using a laser cutter, then chemically etch. This entry was posted on Friday, May 17th, 2013 at 11:02 am	and is filed under Uncategorized.